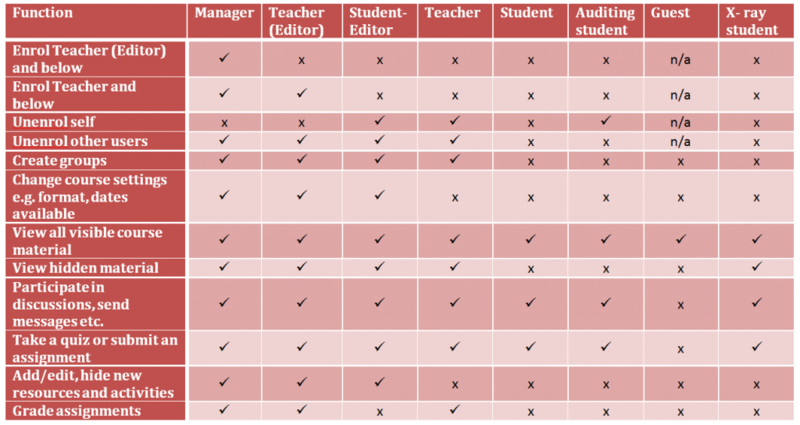 The table below is a summary of the most common Moodle functions and which roles can do them. Use this to determine the right level of access for any enrolments you may need to carry out. N.B. If you are in any doubt whether a particular role can do something or not, use Switch Role in the ADMINISTRATION block to check.